Nashville (Tenn.) - Providing an update on the status of his indictment; enclosing an account of the case printed in the Pittsburgh Courier; and noting no trial date has yet been set for him. 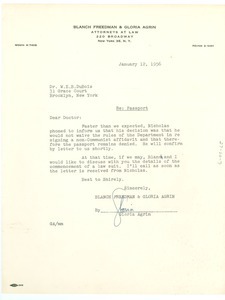 New York (N.Y.) - Per her recent letter (mums312-b145-i005), noting that his passport request remains denied, as Ashley Nicholas of the State Dept. 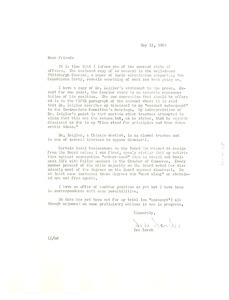 refuses to "waive the reules of the Department in re signing a non-Communist affidavit" and hoping that she and Blanch Freedman can discuss the matter with him shortly. 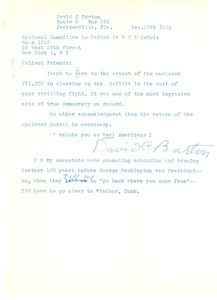 New York (N.Y.) - Thanking Du Bois for his help as a member of the Committee in helping the fight to reverse the 1956 conviction of Trachtenberg under the Smith Act. 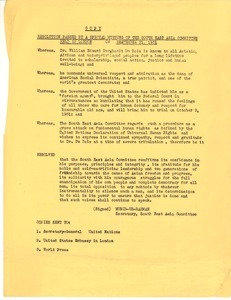 Written on the letterhead of the Labor Research Association. 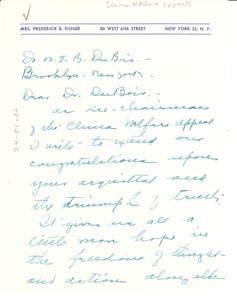 New York (N.Y.) - Thanking all members "who worked so hard to free Dr. Du Bois" and noting that his victory "means so much to world peace and freedom and gives us renewed courage to fight harder for these necessities." 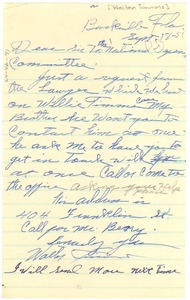 Brooksville (Fla.) - Requesting that he contact his brother Willie and prividing his address for that purpose. Jacksonville (Fla.) - Enclosing a $1 contribution in celebration of the Committee's "thrilling fight" and saluting its members as "Real Americans!" 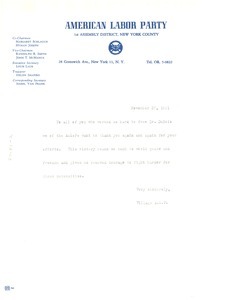 New York (N.Y.) - Signed Welthy Honsinger Fisher, Vice Chairman; congratulating him on his acquittal and on "the triumph of truth" and wishing him well. London (England) - Supporting W. E. B. 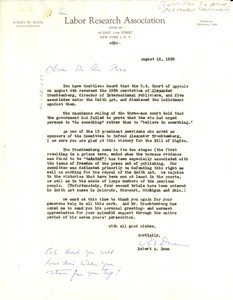 Du Bois during his indictment in Federal Court. Boston (Mass.) 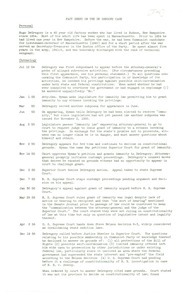 - Outlining the major events in the legal prosecution and trial of 45-year-old factory worker Hugo DeGregory, 1954-1959. 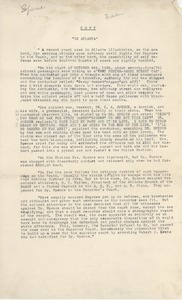 United States - Draft of article which appeared in the August 1927 issue of The Crisis which discusses how Dr. C. A. Spence was acquitted from spurious charges lodged against him by a streetcar company in Atlanta.